A few weeks ago, we revealed that Eric Silwamba, ex-convict Richard Sakala and High Court commercial division registrar Coleen EM Zimba with supervision from deputy choef justice Marvin Mwanamwambwa will start publishing articles attempting to distort the facts in the case where Stanbic was ordered to pay Savenda Management K192 Million for negligence and breach of duty. By CHARLES MUSONDA (The real Author is Eric Silwamba. Charles Musonda has no capacity to even understand the issues in this matter). SAVENDA Management Services Limited was recently awarded a whopping US$ 19 million in what has been described as one of the largest court awards in Zambia, which award was reversed by the Supreme Court. In the next few days, the Daily Nation visits the archives to chronicle the case from its origins The case, which has raised controversy in some sections of society, dates back to September 2007 when Savenda applied to Stanbic for a lease buy back facility for a printing machine at the cost of US$540,000. It was expressly agreed that the lease payments would be serviced through an overdraft facility with the bank. Upon defaulting, Stanbic Bank listed Savenda on the Credit Reference Agency (CRA) as a delinquent debtor but Savenda argued that the listing was done in a bad faith as the bank acknowledged that a system error caused the balance on the loan facility not to reduce despite the debit order running to the credit of the lease account. Stanbic admitted indeed the system failure which meant that funds that should have been credited to the Savenda loan account were instead credited to an escrow account, but that after rectification of the error, the account was still in default because not enough money was paid into the account. (And here is something else which the author has left out: at the time of this lease buy back facility for a printing machine, Savenda had 22 other facilities with Stanbic. All were paid in full, according to Stanbic records.) So if Savenda was a delinquent borrower, why did they default on the other 22 loans? Why did Stanbic keep on approving up to 22 loans to a bad debtor? Was it system failure again? Eric Silwamba continues: The two parties did not reach an agreement or any at all regarding the cause of the default and the matter was referred to arbitration under cause number 2013/HP/ARB/14. (But in the paragraph above, the author says ‘Stanbic admitted indeed the system failure’. On May 24, 2013, the Arbitral Tribunal ruled in favour of Stanbic and awarded the bank K7, 535,237.96 (US$1,363,850.49) as an arbitral award, in default of which the bank was at liberty to seize secured properties, stand 1534 and 255595 Woodlands, Lusaka. (Here is another important detail that Eric Silwamba has decided to omit in this article: the arbitrator was judge Charles Kajimanga. At that time, he was a High Court judge but on suspension. He is now a Supreme Court judge and is a personal friend of Judge Evans Hamaundu, one of the judges accused of having received kickbacks to reverse the High Court order. They go hunting (poaching) together. As arbitrator, he was picked by Stanbic Bank not Savenda.) We just thought you should know. Eric Silwamba continues in his Daily Nation article: Ordinarily arbitral award should be final but Savenda failed to pay the judgment debt but applied to the High Court to pay in instalments and the then Deputy Registrar ordered that the judgment debt be paid in 12 equal monthly instalments of K627, 939.5 per months. (And It is not true that arbitral awards are cast in iron. It is the duty of the conventional courts to rectify injustices even in arbitral awards, at least in countries where judges are not corrupt and are properly educated. during his arbitration decision, the arbitrator (Judge Kajimanga) said that some of the issues in the matter could not be dealt with by arbitration but by the other platforms/avenues (High Court). That is why Savenda went to the High Court to make a counter claim. In the counter claim in the High Court Savenda won and was awarded $19 Million. Continues Eric Silwamba: But Stanbic appealed out of time against the order to pay K627, 9939.5 per month. its lawyers raised a preliminary issue on points of law in the High Court, pursuant to Orders 18 Rule 11 and 33 of the Rules of the Supreme Court (White Book) 1999 edition questioning the decision by the registar to vary the arbitral award. The bank argued that the proceedings instituted by Savenda and the reliefs the company sought under the said proceedings were improperly before the High Court for lack or want of jurisdiction as under Section 20 (1) of the Arbitration Act number 19 of 2000, an award made by an Arbitral Tribunal pursuant to an arbitration agreement is final and binding on the parties. Stanbic also argued that under Section 20 (2) of the Arbitration Act, Savenda could only challenge awards made by the Arbitral Tribunal in the High Court on grounds provided under Section 17 (2) of the said Act. The bank further argued that reliefs sought by Savenda were not provided for under Section 17 (2) or under any other provision of the Arbitration Act, rendering the proceedings improperly before the High Court for lack or want of jurisdiction. 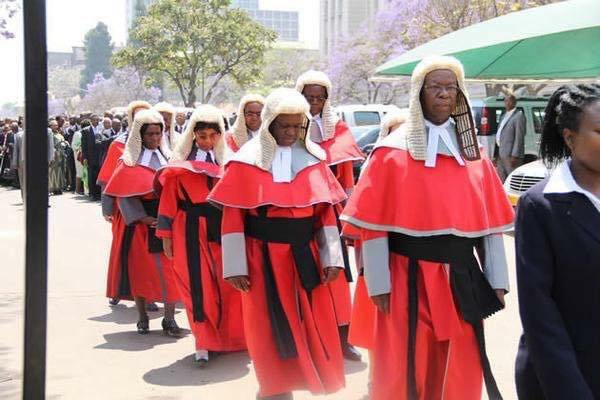 In her ruling of November 7, 2014, Lusaka High Court Judge Judy Mulongoti said it was categorical that an arbitral award was final and binding, both on the parties and any persons claiming through or under them. Ms. Justice Mulongoti concurred with Stanbic Bank’s submissions that arbitral awards are subject to the High Court supervision only in respect of registration and enforcement. “This therefore, entails that the proceedings before the Deputy Registrar were irregular…the High Court lacks jurisdiction in this regard and cannot grant the reliefs sought by the respondent (Savenda). High Court only comes in to set aside and for registration purposes as noted. “The respondent does not seek to set aside the awards and has in fact admitted being indebted and has made some payments towards the debt. Section 20 (3) (of the Arbitration Act) cannot aid the respondent as it provides for what happens when the time for making the application to set aside the arbitration award has expired or refused by the court,” she said. Ms. Justice Mulongoti added: “In such an instance the arbitration award is enforceable in the same manner as an order of the court.” She further observed that Savenda’s argument, that reading Section 20 (3) of the Arbitration Act together with Order 36 Rule 9 of the High Court Rules empowers the court to allow for payment in instalments, was utterly awed and that the cited pieces of legislation were not applicable in the circumstances of the case. “This court lacks jurisdiction to grant the reliefs sought by the respondent. I find that the awards are final and binding on the parties. In the net result, the appeal which is pending hearing is dismissed as the proceedings before the Deputy Registrar were a nullity. The stay of execution is equally discharged forthwith. Costs to the claimant (Stanbic) to be taxed failing agreement. Leave to appeal is granted. We will continue responding to Eric Silwamba’s articles, but we just wonder why Charles Musonda who is being used by Silwamba to publish these articles has not been cited for contempt of court like Bishop John Mambo and Gregory Chifire? Is it because he, like John Sangwa is massaging the egos of the judges who are accused of receiving bribes? Are these judges fit to run our judiciary given their blatant disregard for neutrality and basic human rights when the matter involves them? By the way, it was magistrate Fides Hamundu, the wife of Supreme Court judge Evans Hamaundu who found Richard Sakala guilty of corruption and sent him to jail. Is it not amusing that now the Hamaundus are cutting deals with a convict Richard Sakala? We are also aware that Sakala attempted to expunge the conviction to clean his name but the courts of appeal refused but instead maintained that he was a criminal indeed.